23 August 2013 – Nashville, Tenn – Capitol CMG Label Group garnered a total of 39 Dove nominations for the upcoming 44th Annual Gospel Music Association (GMA) Dove Awards. The nominations were announced at the GMA’s Dove Awards press conference, held at Lipscomb University’s Allen Arena. 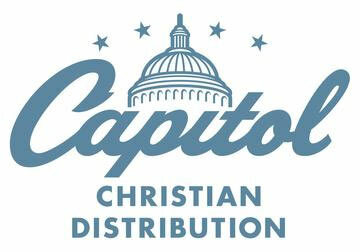 The top Capitol CMG Label Group artist nominees for the Dove Awards are Chris Tomlin and Matt Redman each receiving nine nods and Hillsong receiving five. TobyMac, who also walked away with five nominations, joins Tomlin as Artist of the Year nominees. Colton Dixon, David Crowder*Band and Jeremy Camp each received two nods. Matthew West, Sanctus Real, Josh Wilson and Kari Jobe were also recognized with nominations. Capitol CMG Label Group artist Mandisa was on hand to help host the nominees at today’s press conference. Mandisa was also joined by fellow artists Francesca Battistelli, Jason Crabb, James Fortune, Tenth Avenue North, Rhett Walker, and more. Crazy Noise – Hillsong Kids Jr. The 44th Annual GMA Dove Awards will be handed out on Tuesday, October 15th at Nashville’s Allen Arena on the Lipscomb University campus. Tickets to the 44th Annual GMA Dove Awards are on sale now at www.gospelmusic.org. The GMA Dove Awards, gospel music’s biggest night of the year, featuring artists from every style of gospel/Christian music coming together for a night of music and celebration, will be broadcast on the UP! Network in October. Airdate will be announced shortly. The complete nominations list is at www.doveawards.com.